Custom designing your new entry door is easy and provides you with a remarkable entrance. We custom designed this unit for a family in New York. They had a wooden door similar to this design and wanted the same thing in wrought iron. Our technicians drafted a drawing and within a week were in the production stage of creating their door. Each door comes included with glass and lock and welded door pulls. Visit our website to see the different design styles and finish options. With contemporary and classic iron designs, we’ll match your iron needs. 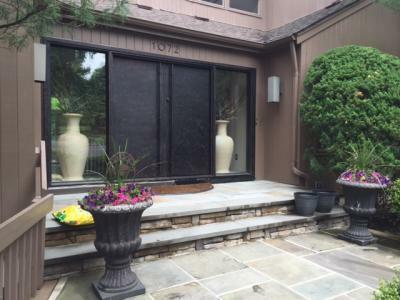 Call us and find out your custom iron door possibilities!